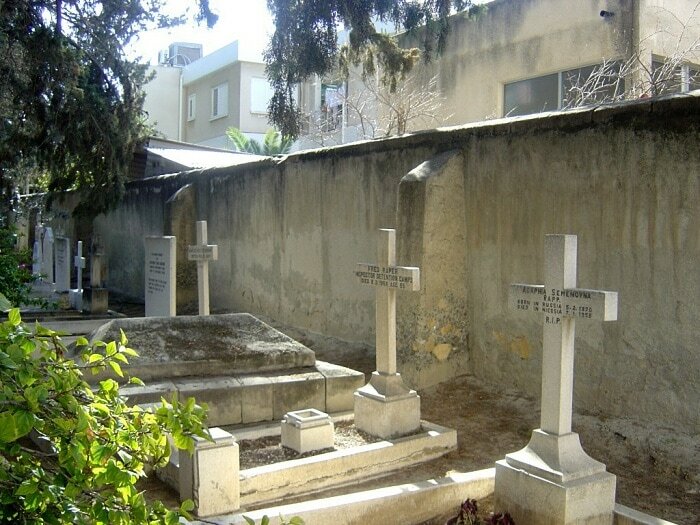 Nicosia British Cemetery is on the south side of the town, on the road to Government House; it contains the graves of two soldiers of the 1914-1918 War and one of the 1939-1945 War, as well as a small number of Post war graves. 29172 Private Robert Howare, 1st Garrison Bn., Royal Scots, died 2nd July 1918. T4/092544 Driver Robert Henry Stubbs, Army Service Corps, died 2nd December 1917. 73624 Captain Jasper Peter Young, 3rd King's Own Hussars. Royal Armoured Corps, died 17th September 1941, aged 24. Son of Jasper Bertram and Olive Pauline Young, of East Morden, Dorsetshire.